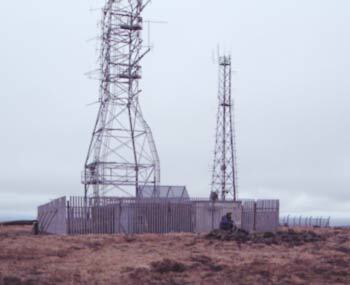 The summit of Slieveanorra definitely isn’t a wilderness experience. For a start it has two masts on it with associated buildings and it also has two roads. From the top a metalled road leads SE, whilst a well maintained dirt track leads NE. I approached it from the main road at D144277 A (the NE side).